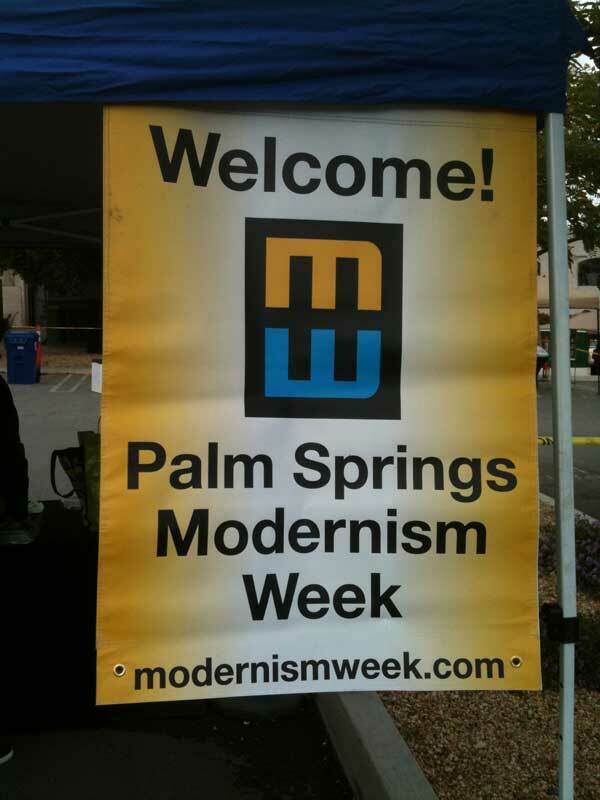 Modernism Week: Palm Springs is an annual event that celebrates pretty much everything Mid-Century Modern. 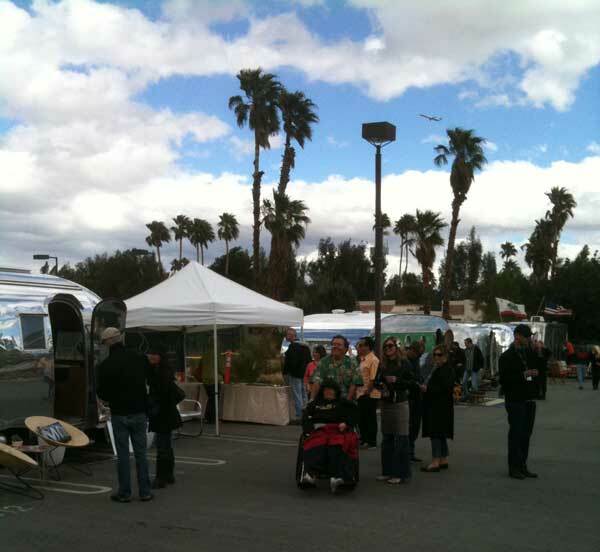 While Palm Springs boasts some of the most stellar examples of Mid-Century Modern architecture, the wide open desert also was a mecca for travel trailers. 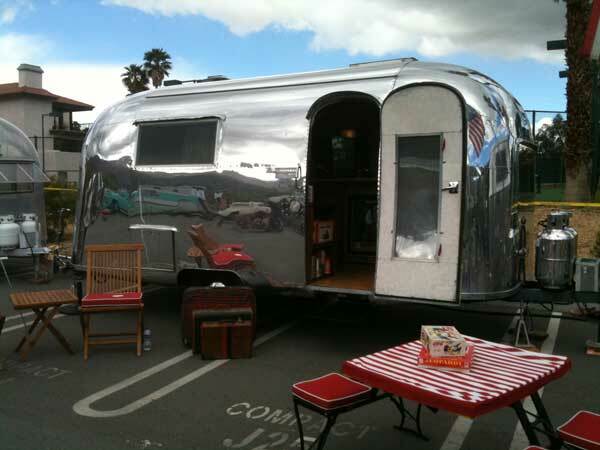 One of the icons of the mid-20th Century is the aluminum travel trailer, the most famous of which is the Airstream. 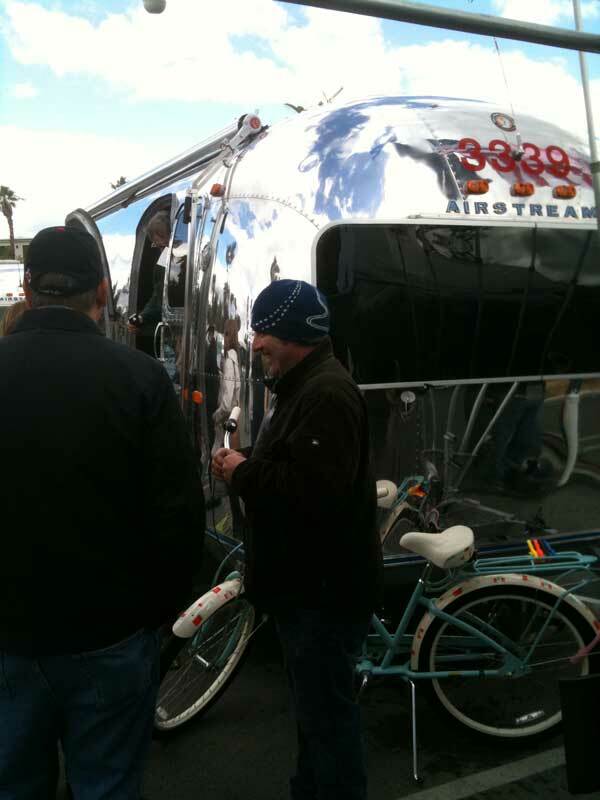 Airstream Life Magazine sponsored this year’s travel trailer show. 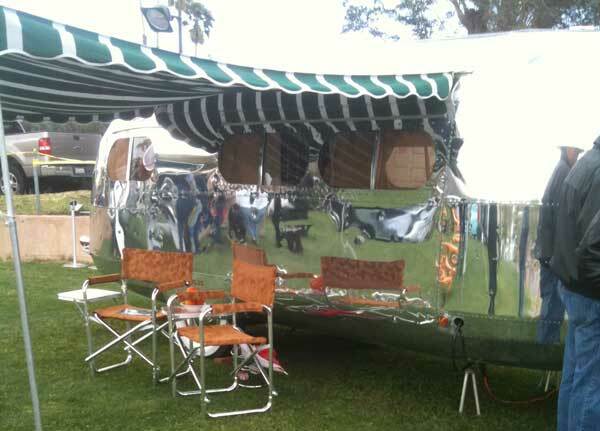 You needed sun glasses just to look around the parking lot of the Riviera Resort & Spa where shiny aluminum jellybean-shaped trailers reigned supreme. It was a a different time in post WWII America. We had won the war, but we were now in the Atomic Age and the Cold War cast a chilling shadow over the free world. Highways like Route 66 and the Lincoln Highway had connected many states and cities, but that was only a hint of things to come. As part of a big national security push, President Dwight D. Eisenhower signed the Federal-Aid Highway Act of 1956 and the construction of the Interstate Highway System began. The building is still going on, but it took at least 35 years and billions of dollars to complete the original plan. 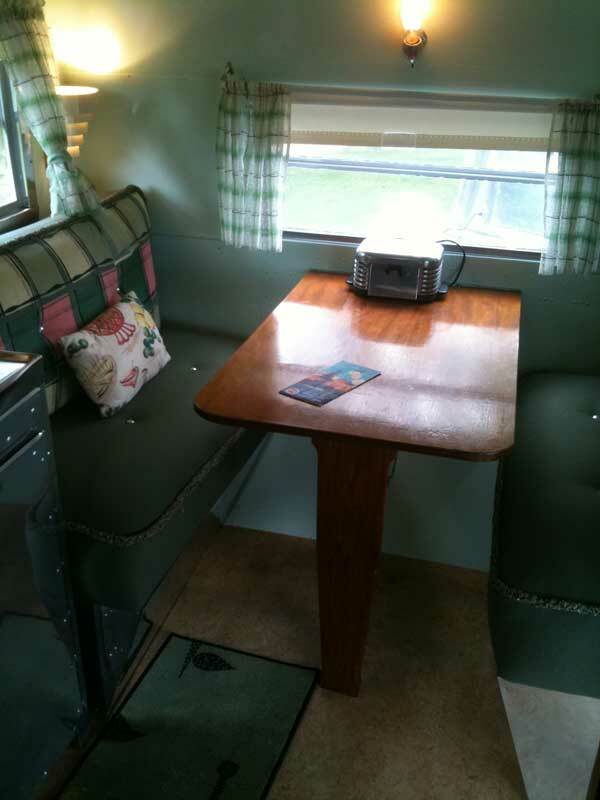 In the days before credit cards and the internet, families bought trailers, hooked them to a pickup truck or station wagon and went on family vacations to all points throughout the country. 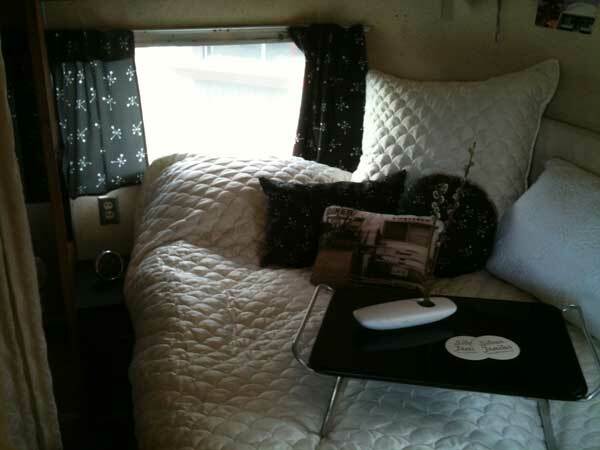 It was a way of life that cemented our love of the automobile, the travel trailer and the freedom to go anywhere with the excellent and ever-expanding interstate highways. 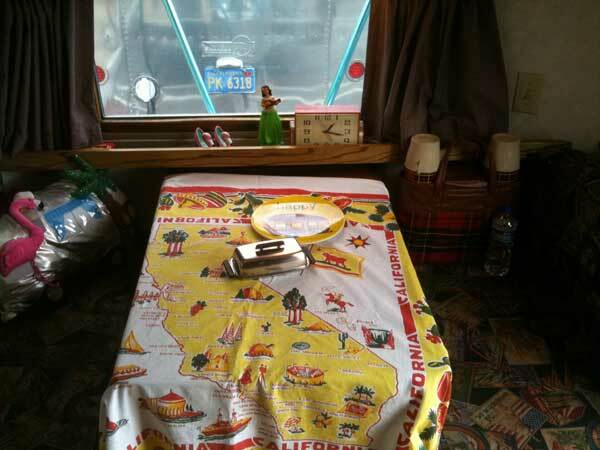 Countless roadside motels, diners and attractions popped up to service this growing segment of the American population. As I toured these dinosaurs of decades past, I couldn’t help but long to get a trailer, break the shackles of domestic home ownership and just travel around the USA with my kitchen, bathroom and bedroom trailing my gigantic SUV with a powerful gas-guzzling V8 engine. However, when you look at the cramped quarters and less-than-attractive bathroom options, reality smacked some sense back into my head. 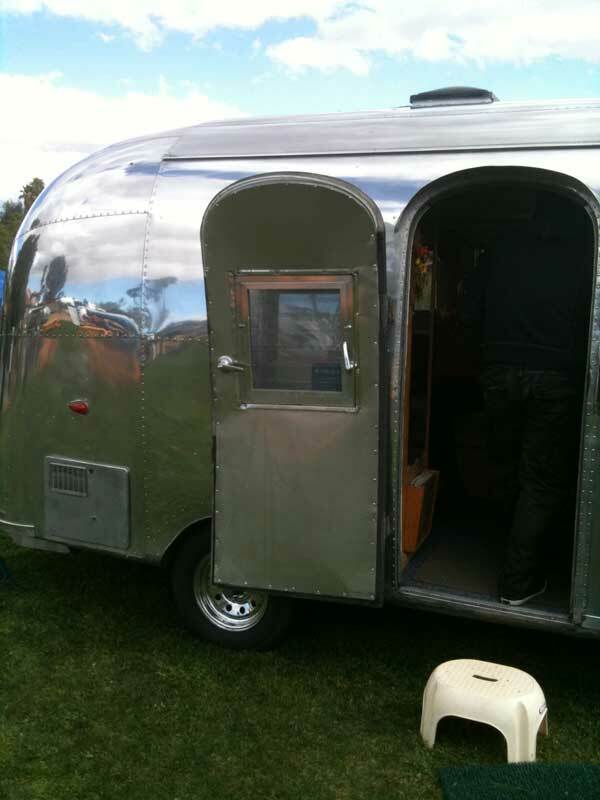 Still, you could park one of these beauties in your back yard and use it as a guest house. At first, your friends will think it’s fun, but after a few days, they may decide it’s time to go home or move to a hotel. We are spoiled these days, and these relics remind me of just how much we rely on modern appliances, fixtures and amenities. 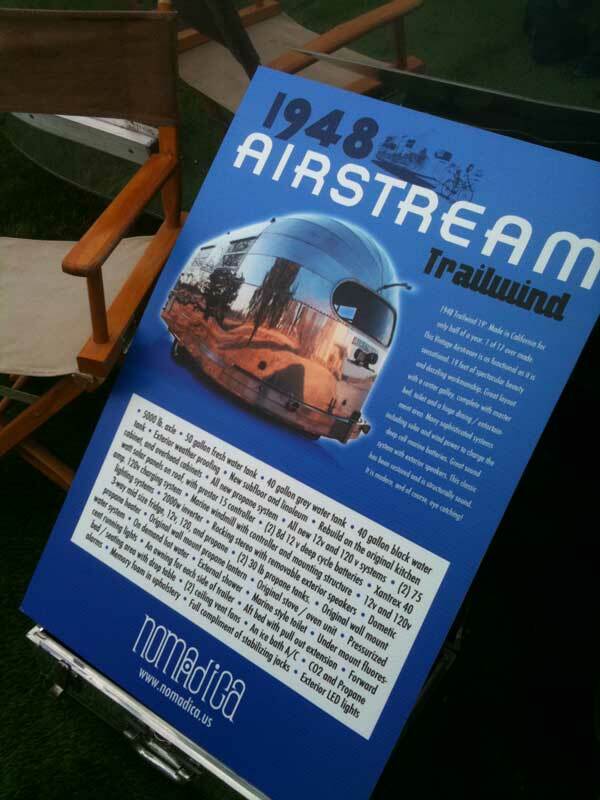 Many of the exhibitors had books or original brochures explaining their trailer. 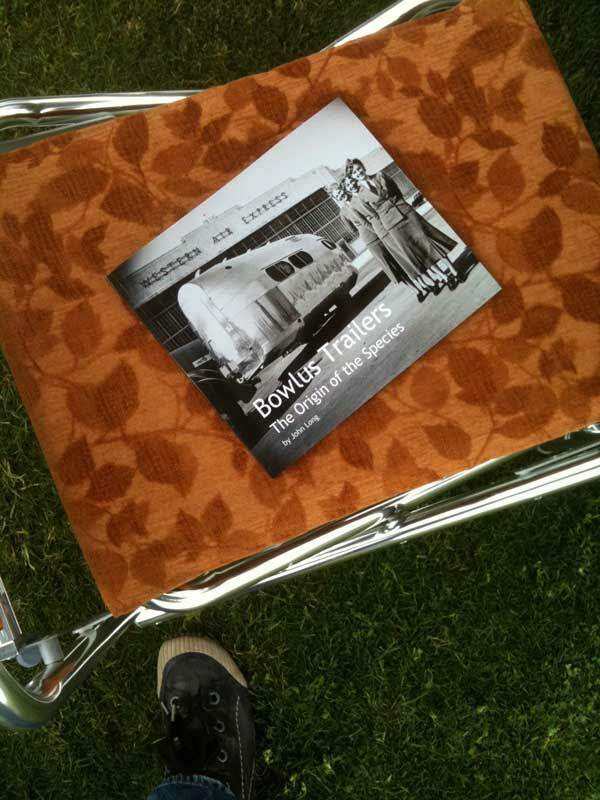 The Bowlus Travel Trailer was like a silver hot dog. It was partly cloudy and sunny. Showers messed up events and tours earlier in the day. 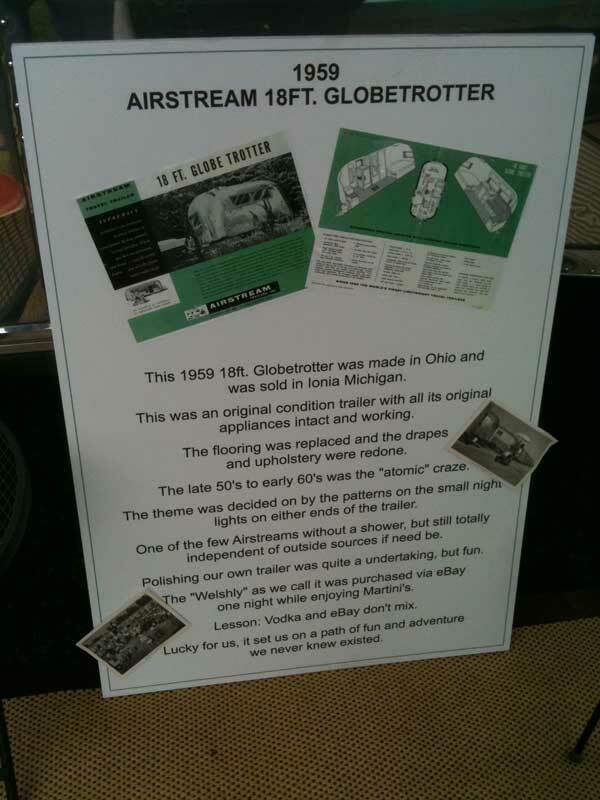 Interesting details about this Airstream trailer. 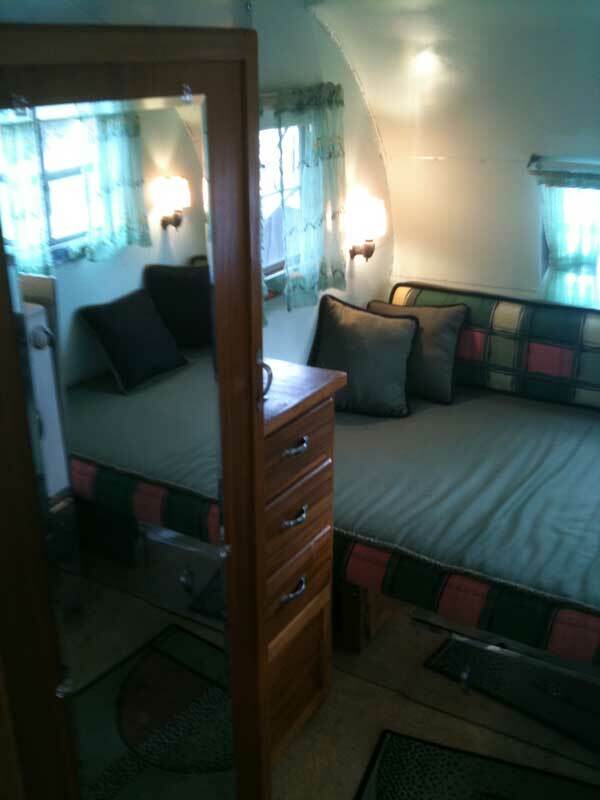 Some of the trailers were updated with modern amenities. 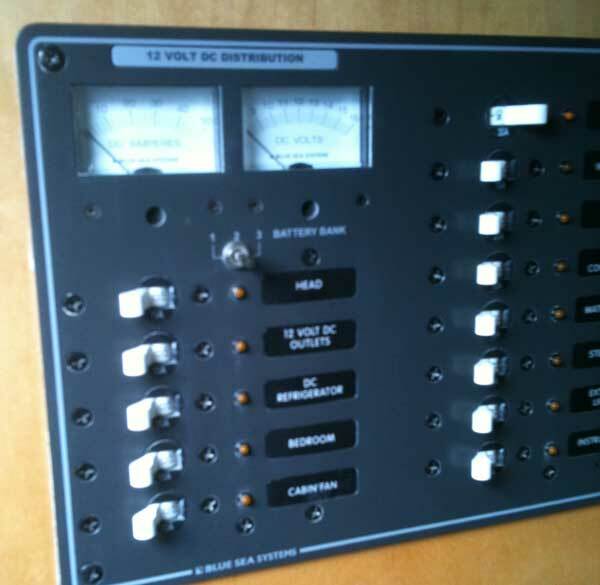 This electrical panel rivals that of a small home! You've got to love the name Globetrotter. 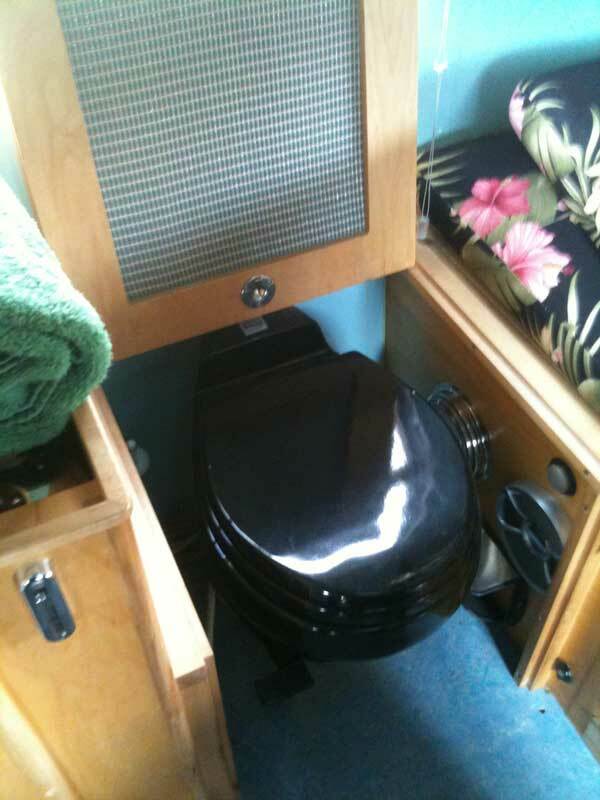 Cramped quarters and about zero privacy. I think I'd prefer a private bathroom in a hotel. They swear that's a Queen size bed. I'm not buying it. 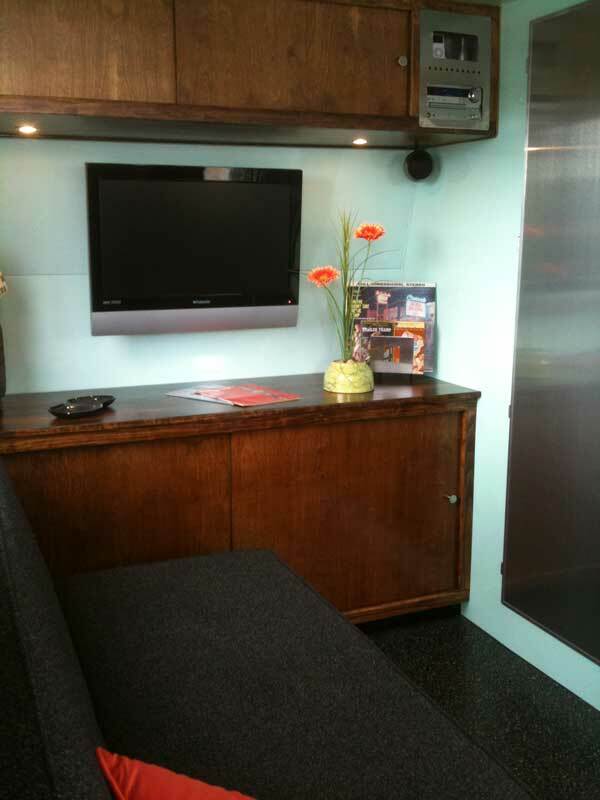 The polished aluminum ceiling reflects that bright pink and black fabric. My head is spinning. 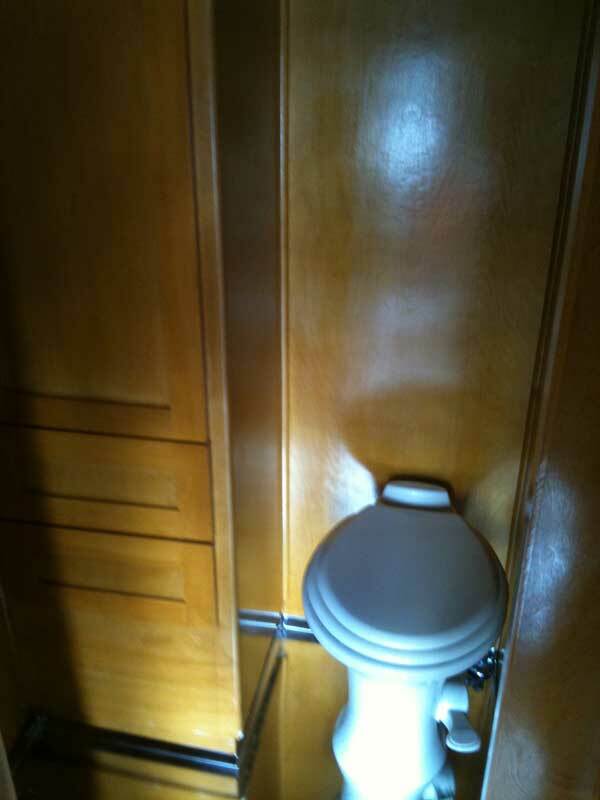 I'm always fascinated with the tiny toilet area and lack of privacy. 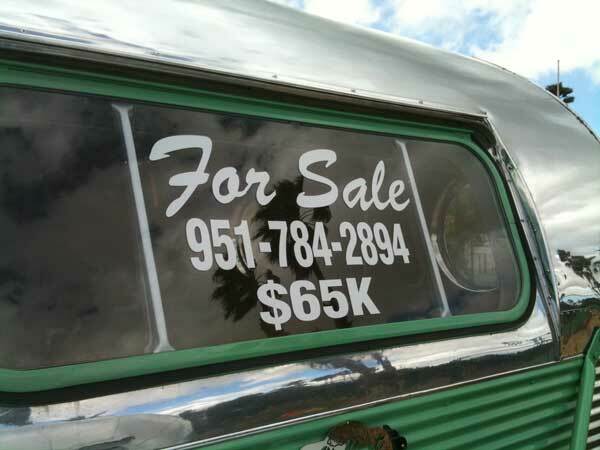 It's pretty cool, with the porthole windows and such, but $65k? 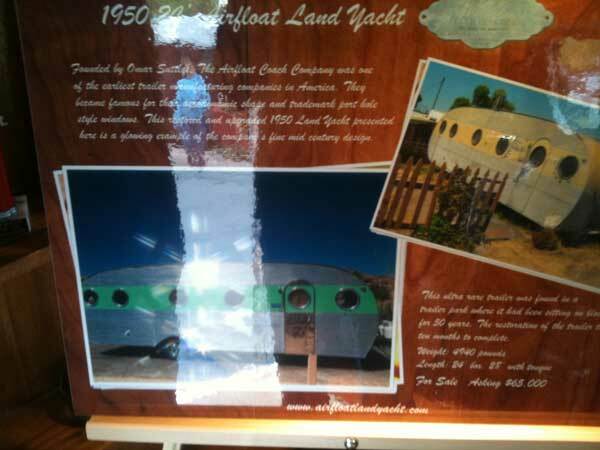 The 1950 Airfloat Land Yacht. It was completely rennovated. Rest and relaxation. 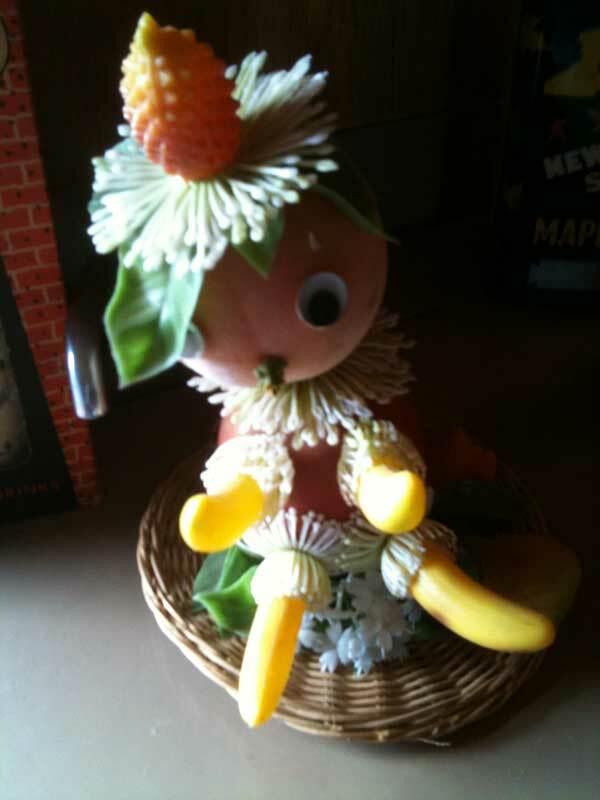 I think there may have been some medical marijauna involved here. 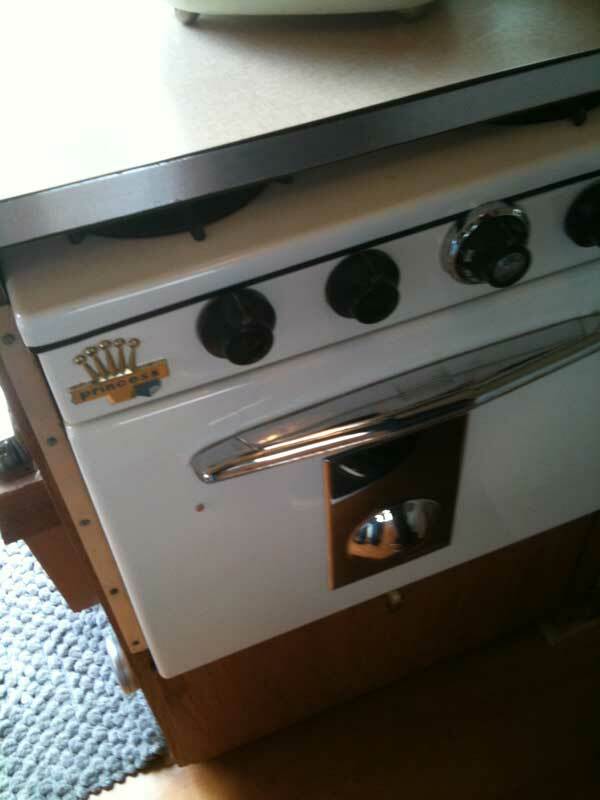 This Princess stove was original equipment on this trailer. 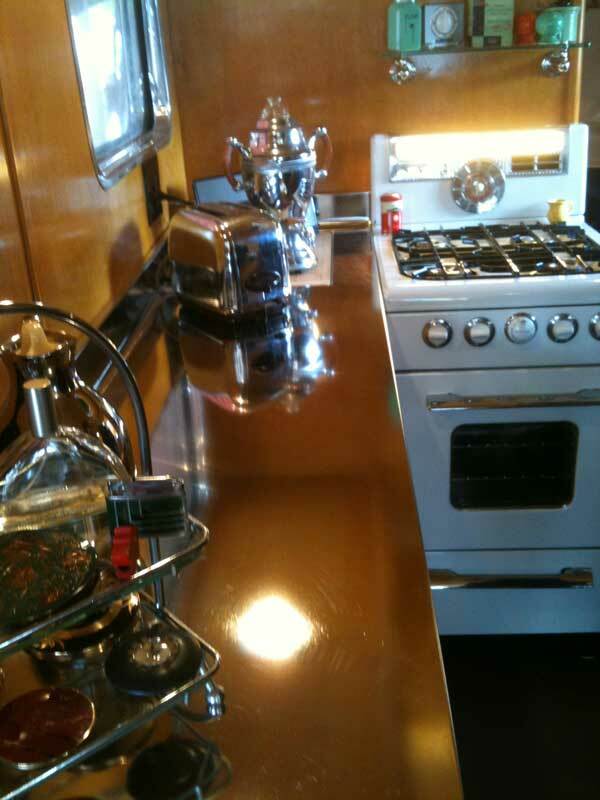 The owner told me that he found the stove for his trailer on eBay. 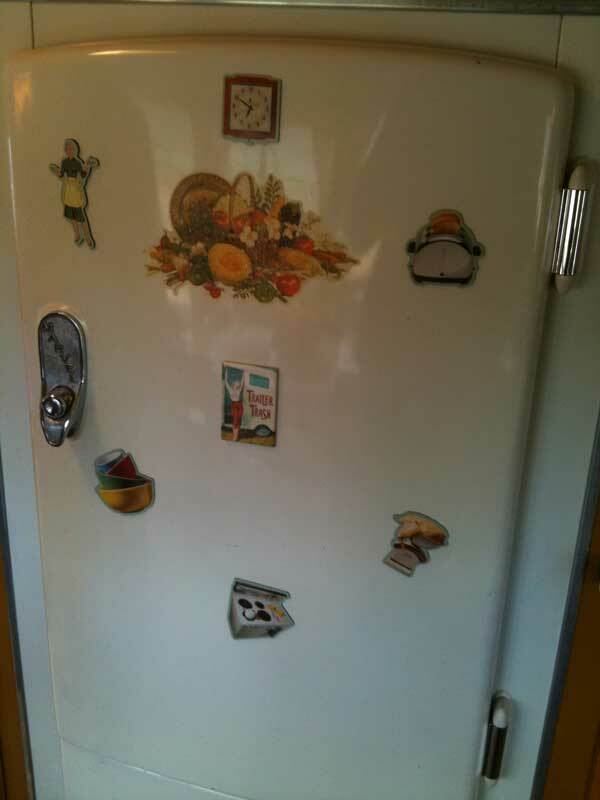 This was probably the first-generation of mini refrigerators. 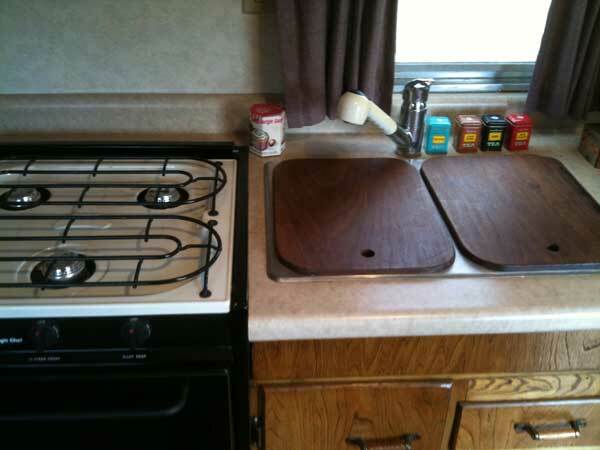 A 1970s vintage stove and sink. Never say "no" to breakfast in bed. 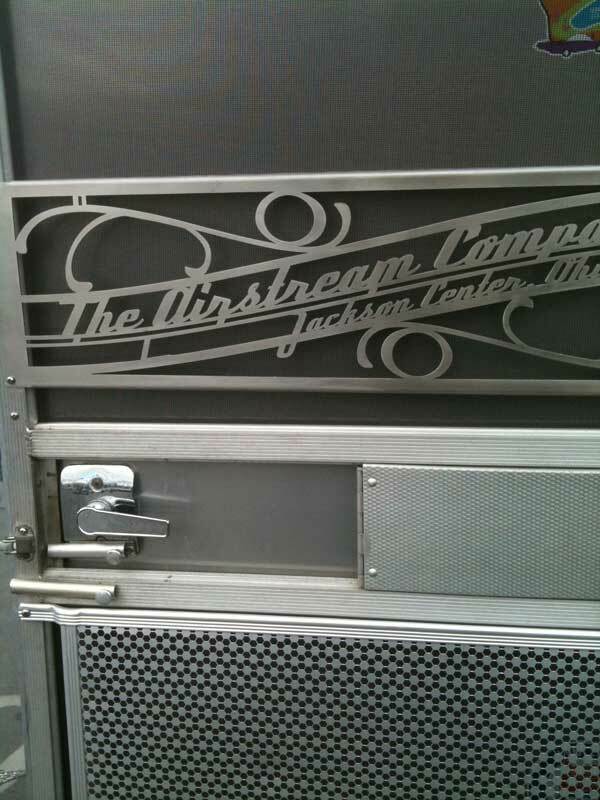 I love the detail on this screen door. I doubt they make them like this anymore. 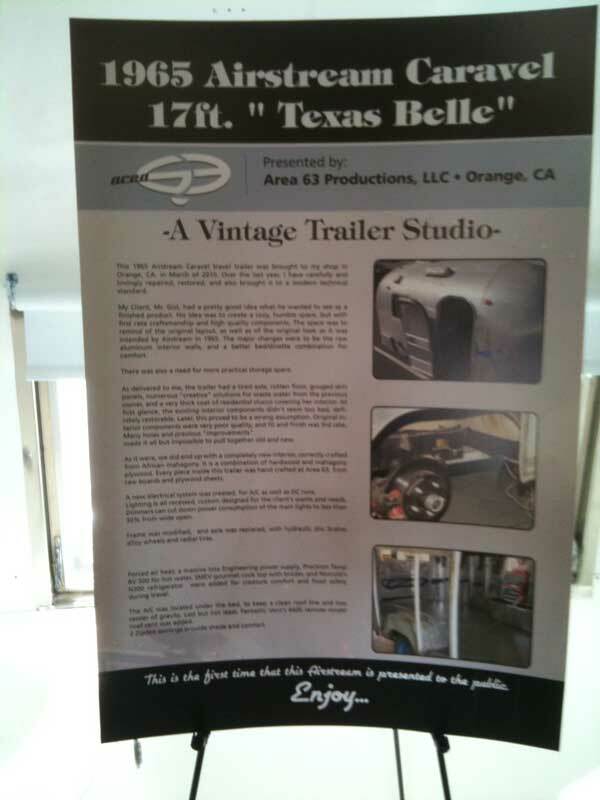 The Texas Belle - Note that the restoration was done by a company in Orange County. 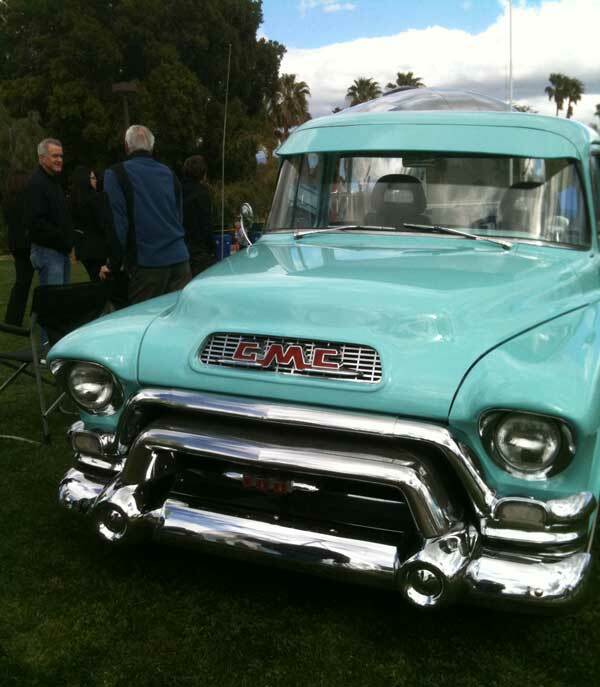 I like the vintage year... It was a very good one, particularly for me. This fantastic (1956?) GMC Truck was probably used to tow one of these trailers. 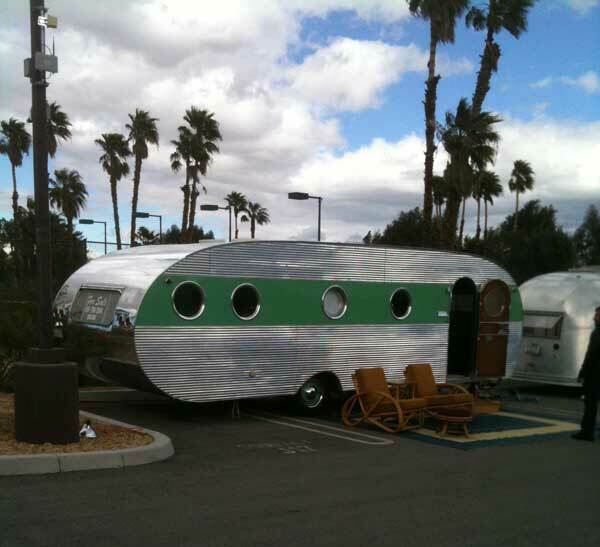 It sure looked good connected to an Airstream. But I could also see it overheating on a mountain road. No fun. 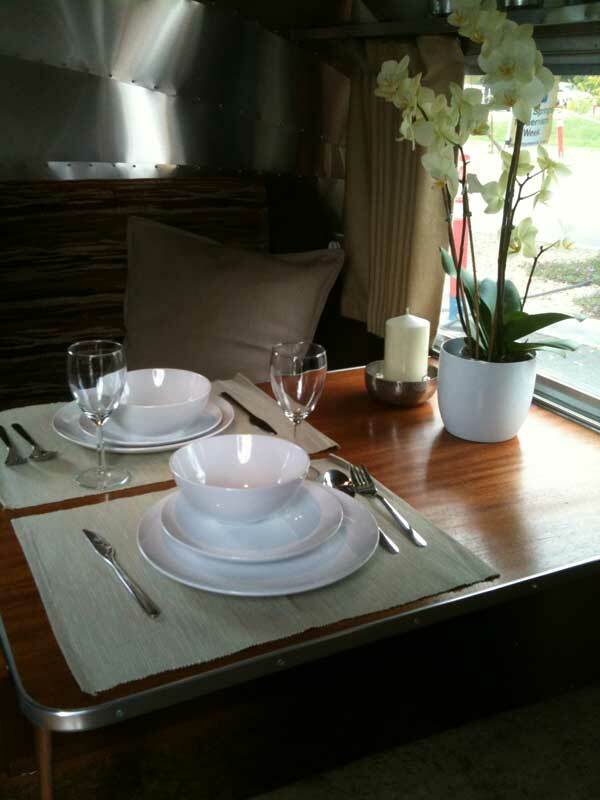 This was a cozy dining table. It was a lovely afternoon. 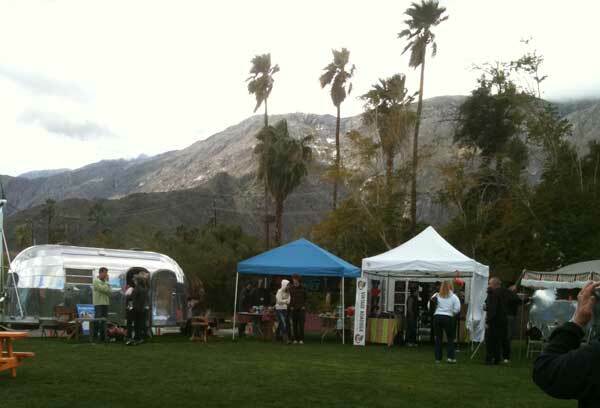 Chilly by Palm Springs standards - maybe 60 degrees. 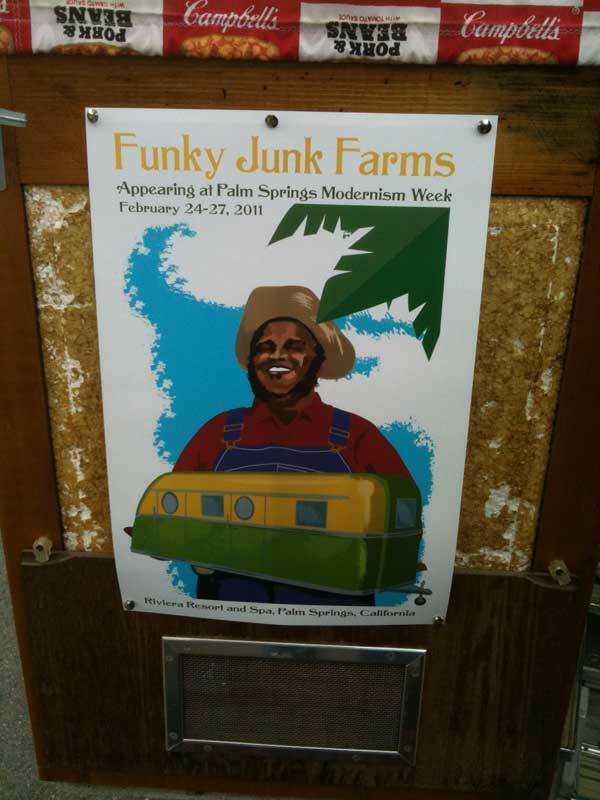 Funky Junk Farms, huh? Cool name for the company. 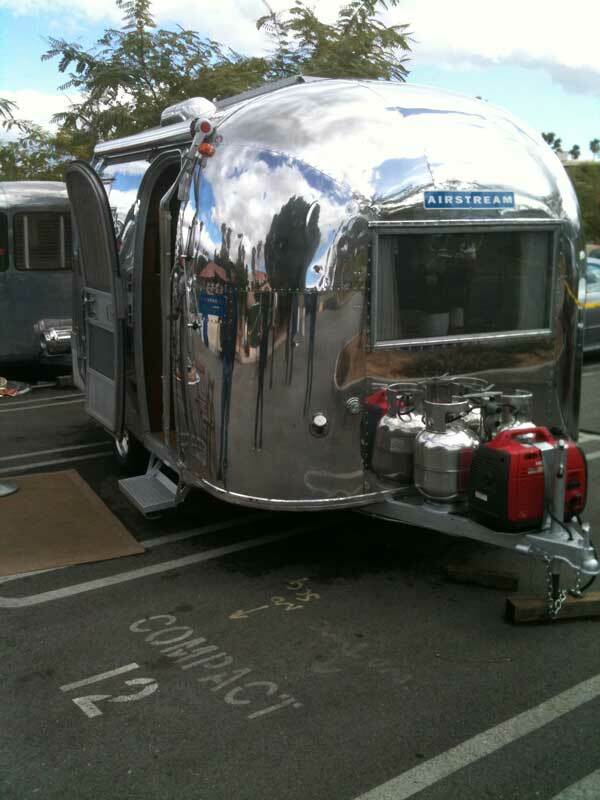 Someone spent some bucks to get those propane tanks chromed. 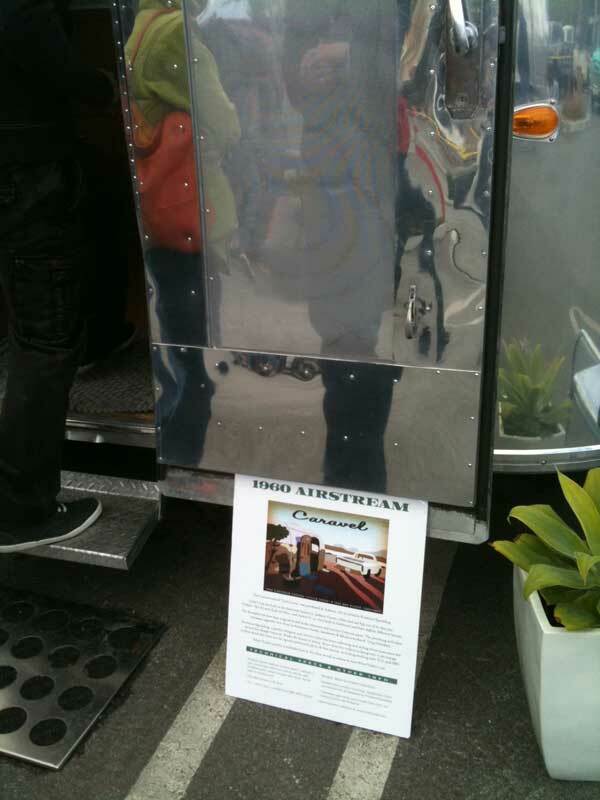 This Airstream had a more modern darkened rear window. 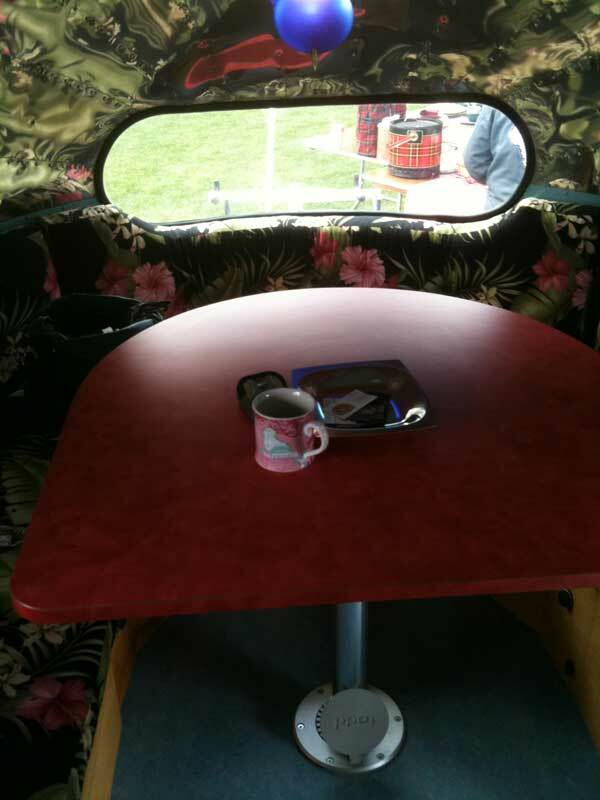 I LOVE the table cloth. 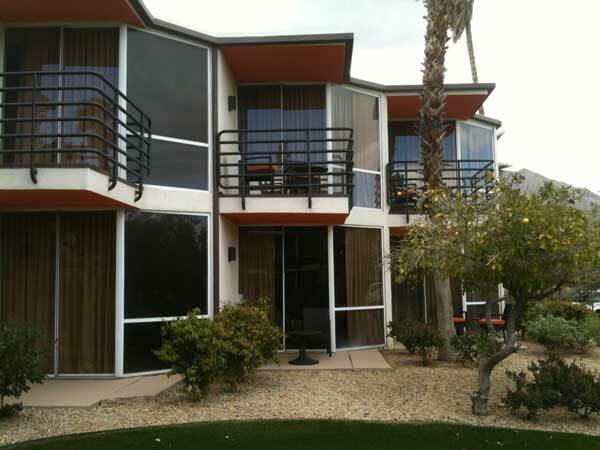 The Riviera Resort & Spa's restored guest rooms. It's a beautiful rennovation. 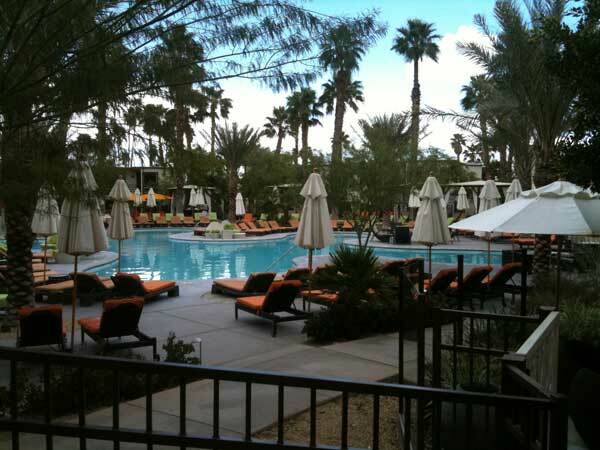 The pool area is usually packed, but because it had rained in the morning and it was cool all day, it was deserted. 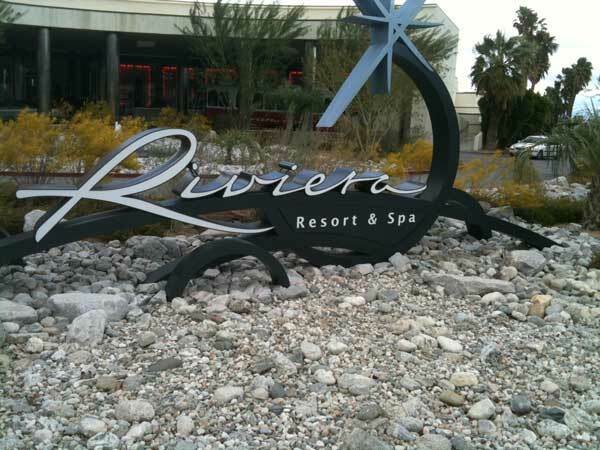 The Riviera Resort & Spa. NE corner of Vista Chino & Indian Canyon. At night, it's even more spetacular. You have to walk in just to see the over-the-top but cozy lobby designed by Jonathan Adler.